Dr. Le is the absolute best dentist I have encountered. He is beyond a doubt the most comprehensive, organized, and truly empathetic Doctor I have had the pleasure to meet. I have my smile back,more confident, and just plain happy! I recommend if you're scared to take the chance. Please visit Dr.Hung Le and his colleagues. It will change your life. I have been to several dentist within my time, however Dr Le is one of a kind he's very understanding to his patients needs. I'm fearful of needles, Dr. Lee assure me that it will be okay and it was...I neverfelt a pinch. Dr Le does excellent work and must be recognized and differentiated as such. His work is truly above and beyond in addition to the superb! Job... I can now smile with confidence??. Thank you Dr. Lee Not to forget his staff member were very pleasant and helpful especially Sharon..
Amazing work staff is very professional and makes you feel relaxed. He is the best dentist that I have ever had hands down! I was in pain due to a two part procedure. He told me to come right in several times and did everything possible to control my pain. He evenovernighted what he needed to complete my procedure as soon as he knew it was ready. I appreciate him doing that. He was able to complete my procedure and enjoy the 4th of July weekend. His office staff and assistants are awesome, as well. They are definitely a reflection of how Dr. Le is! They even put my next appointment in my phone calendar, which, saves me the trouble. Thanks Dr. Le!!! Quite impressed!!! Entire office, procedure, Doctor Hung and all the staff were very personable, warm, professional, and friendly. I'd highly recommend their service. Dr Le and his staff are a very unique group. Everyone is so friendly and professional. A joy to go there. Dr Le always works out a solution for you financially and for your treatment plan..highly recommend them..Each person here is wonderful!! Everyone was courteous, helpful and professional. The receptionist, assistant and especially Dr. Le were great. I highly recommend them. I would recommend this dentistry to everyone. The staff was very professional courteous and friendly. The doctor was very attentive. I HAD AN APPOINTMENT AND I WAS ONLY 5 MINUTES PASS THAT TIME !! THE PLACE IS BRIGHT AND CHEERY BECAUSE OF THE GREAT RECEPTIONISTS WHO MAKE YOU FEEL GLAD TO BE THERE . (IF THAT IS AT ALL POSSIBLE FOR ADENTIST OFFICE .LOL). THE DOCTOR IS A GREAT GUY WHO MAKES YOU AWARE OF EVERYTHING HE IS DOING AND HE DOES IT WITH GREAT CARE !! I AM VERY IMPRESSED WITH THIS OFFICE. My wife first went to Dr. Le & told me I should go, I would be happy with him. Well, she was correct. Just had my 4th visit. 3 of the wait times were under five minutes and one was 15minutes (I consider this to be terrific). He is very polite & I am extremely happy with his attentiveness during procedures. Dr Hung Le is very nice and patient.I am very satisfied. My appointment was great. I have high anxiety going to the dentist. My hygentist and the Dr were both great considering this was my first visit to the office. I do wanna say that only reason I had to wait wasI had gotten to the office early. So I knew I had to wait. That was nothing on their end. I am happy I found their office! I have referred my girlfriend to this doctor. Everyone is really nice and made me feel at ease. I never had to wait at all! Highly recommended. The doctor was very personable and has a great chair side manner. Staff was super polite and proficient. Literally zero wait time. Called for my appointment with an oral surgeon for me. Even called a day before to tell me my co pay. The staff was really friendly, and the dentist was courteous and knowledgeable. 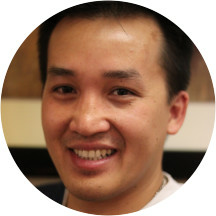 Dr. Hung Le, DMD has no appointments on Zocdoc right now.